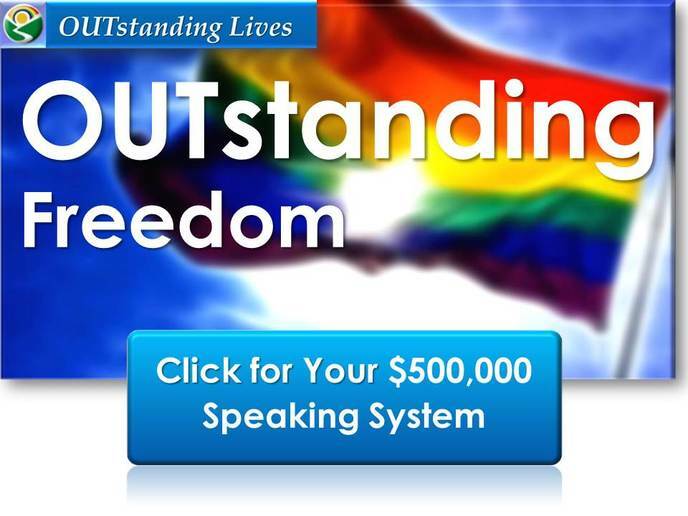 Would you like to EARN $500,000 inspiring the world? *If you sponsor the program, you will also get a High-Paying Client Attraction Video including a Google Plus interview of you and /or slideshow and voiceover produced by Sharon Love, M.Ed.. Formerly a painfully shy "mute girl", Love has inspired thousands of people from around the world and earned over $500,000 with her dynamic presentations in Spanish, French and English. Her speaking income allowed her to travel extensively and donate thousands of hours to building teen self-esteem and saving lives of LGBT youth. In 2010, as a hobby, she inspired over 2 million people to support LGBT human rights on facebook.